THE Constitutional Court has quashed a High Court judgment allowing companies and individuals to attach State property over debts. Deputy Chief Justice Elizabeth Gwaunza, sitting with eight other judges of the Apex Court, reaffirmed the legality of Section 5(2) of the State Liabilities Act, which protects from seizure. 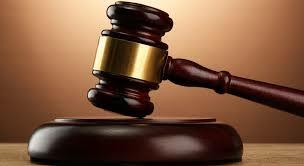 Last year, the High Court ruled the piece of legislation to be unconstitutional in a case in which a Mutare businessman Mr Tendai Blessing Mangwiro was seeking to recover his $1,5 million impounded by the police when he was arrested in another case. The High Court ordered the police to release the $1,5 million and a further $78 900 to Mr Mangwiro, but there was no compliance. In a bid to attach Government assets to recover the money, Mr Mangwiro applied for the invalidation of the piece of legislation, arguing that it was unconstitutional. The matter was referred to the Constitutional Court for confirmation. The nine-member Constitutional Court bench yesterday reiterated that the law was still valid and that it was in sync with the supreme law of the country. Advocate Thabani Mpofu appeared for the winning side, comprising the Minister of Finance and Economic Development Patrick Chinamasa, Home Affairs Minister Obert Mpofu and Attorney-General Prince Machaya. Adv Eric Matinenga represented Mr Mangwiro. Mr Mangwiro won several court applications for the police to release $78 900 and a further $1,5 million impounded from him when he was arrested, but has not received a single cent yet. The High Court judgment posed a serious threat to Government assets. Mr Mangwiro was wrongly arrested on charges of theft in 2008 and subsequently acquitted in February 2013. After his arrest, police seized two vehicles and cash amounting to $78 000 and ZWD46 135 000 000. Police eventually released the vehicles to Mr Mangwiro, but failed to reimburse him his cash. In November last year, High Court judge Justice Amy Tsanga ordered the jailing of former Home Affairs Minister Ignatius Chombo for 90 days following his conviction for defying a court order demanding that he facilitates release of Mr Mangwiro’s money. The ex-minister filed a Supreme Court appeal challenging the decision. He also argued that he had since purged the contempt through a letter written to Treasury in March last year, requesting that the money be released in terms of the State Liabilities Act.